And This Is Really Something To Talk About! 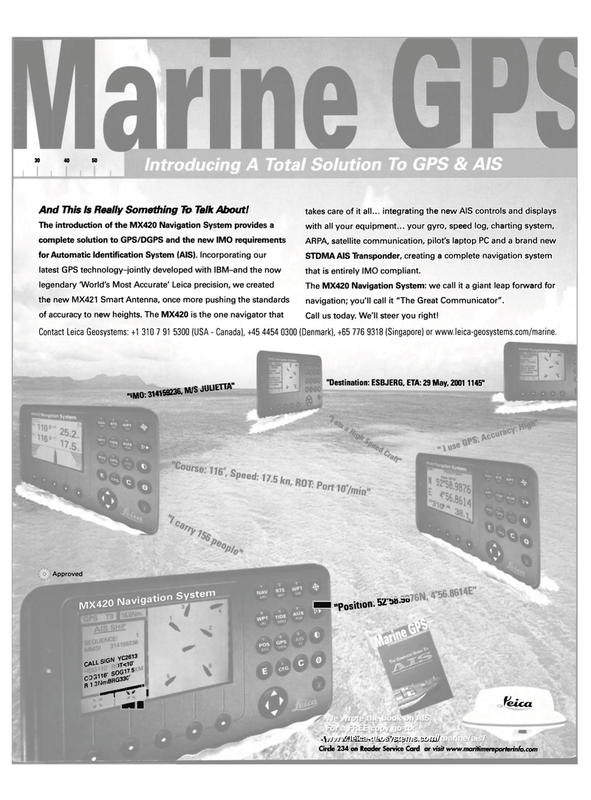 STDMA AIS Transponder, creating a complete navigation system that is entirely IMO compliant. The MX420 Navigation System: we call it a giant leap forward for navigation; you'll call it "The Great Communicator". Call us today. We'll steer you right! (Denmark), +65 776 9318 (Singapore) or www.leica-geosystems.com/marine. .,M0:3141M236.M/S-JUL. ETTA"